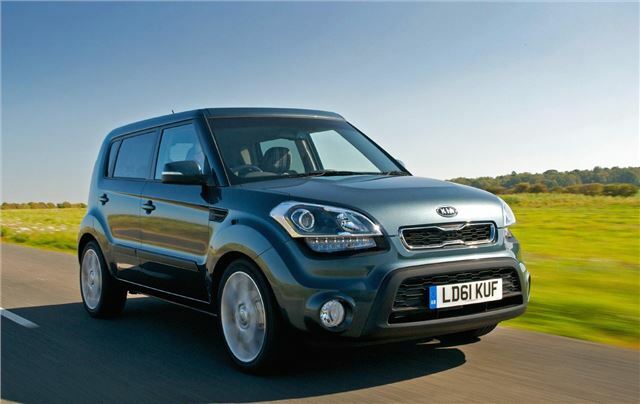 Kia has refreshed its curiously styled Soul crossover model. Changes include improved quality and equipment, enhanced styling and improved, more frugal engines. The improved model is available to order now, priced from £12,495. The Soul was originally introduced in 2008 and offers a spacious and practical design coupled with unique and standout styling. That styling remains superficially very similar on the new model, but delve deeper and you’ll notice that the headlights have been enhanced, with running lights at the front and redesigned clusters at the rear. The grille has also been changed slightly, and there are new alloy wheel designs. The interior has been improved, too, with redesigned centre fascia, centre console and gear lever. There are new cloth designs on Soul 2 models and leather on Quantum models. Besides the cosmetic changes there are some alterations to the engines. Most notably, the 1.6-litre petrol engine has been replaced with a new unit of the same displacement. The new engine is 14bhp more powerful than the old one, yet emits less CO2. That means it’s £35 cheaper than the old model when it comes to tax. The diesel engine has been tweaked and now offers improved economy, as well as a sprint from 0-60mph of 10.3 seconds, 0.6 seconds faster than the old model. Emissions are down to 129g/km, which means first year VED tax is free. Safety equipment has been improved – the Soul now comes with Vehicle Stability Management (VSM), which helps keep the car stable over mixed surfaces, like when there is ice or water at the edge of the road and not in the centre. There is also a Hill-start Assist Control (HAC) system, which does what you’d expect and stops the car rolling back on hills. Prices start at £12,495 for the petrol powered ‘1’ model, rising to £17,795 for the Quantum diesel with automatic gearbox.